The Committee deliberated on the Labour Laws Amendment Bill, after deliberations had been postponed when the matter was discussed at the previous meeting, so that Members could consult their political parties and discuss the concerns about constitutionality that had been raised arising out of the suggestion that some classes of benefits should be paid at different rates than others. There had been some confusion, particularly around the figure of paying maternity benefits at 60% or 66% of full wage, and whether paternity benefits should ensue for 10 or 12 days. Members discussed whether the raise to 66% for all would be affordable, given that two conflicting figures had been presented by the Department of Labour, and it was eventually agreed that 66% payments, although very close to the 2% contribution figure, would be affordable. This was the rate suggested by the actuaries' report. If consistency was maintained then this would address the concerns around constitutionality. The Parliamentary Legal Adviser then briefed the Committee on the proposals that had been submitted to the public hearings. Sonke Gender Justice proposed that the term “parent” be defined because it was unclear whether it referred to biological parents only or whether it included caregivers, step-parents or legal guardians. It was suggested that there was no need to define this term further as the Bill clearly set out all those who would be entitled to parental benefits. The Commission for Gender Equality (CGE) had proposed an insertion of “compulsory parental leave” in sections 25A (1) and (2). However, she considered this unnecessary. CGE also recommended that the term “parental responsibility leave” be used as a general term to refer to the various categories of leave such as commissioning parental leave, parental leave, and adoptive parental leave. She recommended that these terms should be retained. Both COSATU and Sonke Gender Justice suggested that a restriction on adoption leave so that it applied only in respect of a child who was below the age of two would be unjustifiably limiting. They proposed different solutions; one splitting the adoption leave between the parents, and the other seeking to make the same decisions on leave, for four to six months, in all categories. The Legal Adviser noted that this was something on which the Committee would need to take a policy decision. Similarly, a proposal to consider elderly care leave day was a policy decision, although Members expressed the view that this may not be affordable. In the discussions, the Members debated who “parent” was and it was clarified that it would be a person named on the birth certificate. Members agreed that all proposals, apart from the two year possible extension, should be fully researched by the Parliamentary Legal Advisers' team, looking specifically at the best interests of the child. 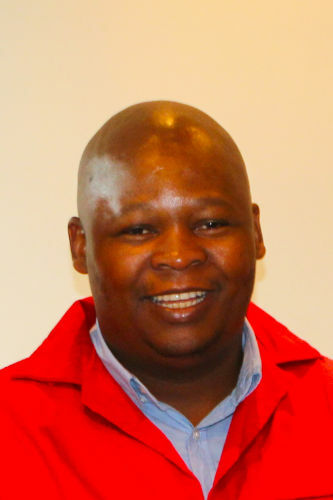 The EFF made a proposal for benefits to be extended to those who resigned in circumstances where their working conditions or disputes were effectively forcing them to resign. Members discussed whether this would not cross over into other areas, particularly constructive dismissal. They were not generally in favour of extending this business, pointing out, firstly, that it would be unaffordable, and secondly that in principle it was not a good decision and would lead to lack of uniformity and consistency across the different pieces of legislation that treated resignations and dismissals very differently. Members were not generally in favour of this proposal, pointing out that the Department of Labour had already indicate that it would not be able to afford this. Members agreed with all the Parliamentary Legal Advisers' suggestions save the adoption matter and the extension of two years, asking that extensive research should be done. The Chairperson noted that in the previous meeting, the deliberation on the matters arising from public hearing was postponed so that Members could go back and get a mandate from their parties, particularly given the issues around constitutionality raised by the Parliamentary Legal Adviser. Ms F Loliwe (ANC) said that the ANC had consulted and the Members of this Committee were asked to say that when effecting amendments, Members were expected to improve the conditions of the people. The Unemployment Insurance Act was being amended and certain proposals were made, and the ANC were of the view that rather than downgrading some benefits they should all be lifted to the same level. Ms S Van Schalkwyk (ANC) cautioned Members that any amendment should be in line with the actuaries' report. The Chairperson sought clarity on the views of Members on the aspects raised by the legal advisers. Ms Loliwe referred to the discrepancies that were raised by the Legal Adviser. She noted that the Labour Laws Amendment Bill (the Bill) was proposing, in respect of paternity benefits, 10 days of leave, but the actuaries' report was suggesting 12 days. Maternity leave was set at four months, but that was not discriminatory because of the special responsibilities of the mother. Initially, the Bill was silent on the adoption leave. She supported the amendments and the increase to 12 days leave. Ms van Schalkwyk agreed, and said that leave benefits should be counted as 66%. Mr T Rawula (EFF) sought clarity on whether the Department of Labour (DoL) would be able to sustain the cost, were the benefit to rise to 66%. When the DoL was asked whether it would afford the amendment that increased benefits to 66%, it had responded that 60% was affordable and he wanted to double-check the position. Ms Loliwe said that initially the percentage of 66% had been supported by the DoL. However, at a later stage the DoL mentioned 60% and that was what was causing the confusion. It was later stated that the figures had been assumptions. Those were the reasons why Members had been unable to deliberate on the Bill. Mr D America (DA) said that Members should consider the affordability and sustainability of the Bill. The Chairperson said that Mr Thembinkosi Mkalipi, Chief Director, DoL, had briefed the Committee on the actuaries' report. He had initially noted that 66% was fine, but after the public hearings the Committee had asked him to go back and consider matters raised to see whether they could be accommodated in the Bill. He had then come back with a presentation based on figures that differed from those in the actuaries report, and those differences had been picked up by the Parliamentary Legal Advisers. Essentially, two presentations had been given that were not the same. The Labour Bill referred to 60% whereas the actuaries' report referred to 66%. The Labour Bill spoke to 10 days paternity leave whereas the actuaries' report talked about 12 days leave. The actuaries' report implied that the Labour Bill was affordable. The Committee was not intending to take the Labour Bill back; and so there was a need to reconcile the issues. Mr Rawula asked whether the Chairperson sought clarity on the constitutional aspects raised by the Parliamentary Legal Adviser. The Chairperson confirmed that she had written to the DoL to address the discrepancies. Mr B Mkongi (ANC) stated that the DoL stated that should the 66% be paid, these payments would be closer to the threshold of the 2% contribution. He took this to imply that the 66% was just affordable, and would not be in conflict with the actuaries' report. The Chairperson reminded Members that the possible constitutional challenge was based on a perception of inequality and needed to be addressed to avoid possible future litigation. Ms Desire Swartz, Parliamentary Legal Adviser, reminded Members that they had yet to decide on matters raised in the public hearing, on which she had commented, and decide whether there were further points to be included in the Bill. The Chairperson asked Ms Swartz to take Members through those issues. Mr Rawula said that the EFF, having gone through the presentation of the Legal Adviser, was concerned that nothing had been said about the possibility of resignation benefits. The Chairperson stated he would be granted the opportunity to address the Committee. Mr Mkongi proposed that the points raised by the Parliamentary Legal Adviser should be accepted if the Committee was happy that bringing these benefits in line at the higher rate would not go beyond 2% contribution to the Unemployment Insurance Fund (UIF). Mr M Plouamma (Agang) agreed. Ms Schalkwyk suggested that the Legal Advisers run over her comments again. Mr Rawula felt that deliberations had been complicated by having several caucuses that were inhibiting the progress of the Bill. He pointed out that if the points that the Legal Adviser were to make carried unaffordable financial implications, then there was no purpose in her presenting. The Chairperson stated that every comment made by the Legal Advisers in responding to public comments should be considered. It was extremely important to the people making submissions that their proposals were considered, and they were waiting for feedback. She stressed that reasons should be provided whenever their concerns were not taken into account. Mr Ploumma agreed with Mr Mkongi. He stated that he agreed with the submissions, provided that the final result would not exceed the 2% contribution towards the UIF. The Chairperson agreed. She noted that should certain propositions that could be relevant but that involved financial implications should be noted down for consideration in the future. Ms Desiree Swartz, Parliamentary Legal Adviser, then took Members formally through her presentation. She noted that Sonke Gender Justice proposed that the term “parent” be defined because it was unclear whether it referred to biological parents only or whether it included caregivers, step-parents or legal guardians. Ms Swartz commented that the Labour Bill set out who was entitled to “parent leave” and there was no need to review the definition or to define parent more closely. This proposal had legal implications. The Commission for Gender Equality (CGE) had proposed an insertion of “compulsory parental leave” in sections 25A (1) and (2). She was not in favour of this insertion. It would not give an employee a choice on whether to take leave or not. In respect of a further proposal to include a new section 25A(6), regarding non-refusal of parental responsibility leave, she thought this was unnecessary. She also objected to the CGE’s recommendation that the term “parental responsibility leave” be used as a general term to refer to the various categories of leave such as commissioning parental leave, parental leave, and adoptive parental leave. She recommended that these terms should be retained. Both COSATU and Sonke Gender Justice suggested that a restriction on adoption leave so that it applied only in respect of a child who was below the age of two would be unjustifiably limiting. In her view, this was a policy decision that the Committee should take to decide whether or not to extend the current age limitation. Sonke Gender Justice was of the view that 10 weeks for adoption leave was insufficient and proposed 10 working days for the one adoptive parent after the child was physically placed with the adoptive parents, and six consecutive months for the other adoptive parent, this time to be taken within the first three years that the child was adopted. COSATU had a slightly different take and thought that the proposal for 10 weeks adoption leave should be amended to reflect the same four to six months provisions maternity leave. It was recognised that adoptive parents did not need to recover physically from giving birth; but provision should be made for adoptive parents to sub-divide that four to six months adoption leave. Ms Swartz felt that COSATU’s proposal required a policy decision. Mr Terblanche had submitted that elderly care leave of one day should be considered. Again this was a policy decision for the Committee. Ms Loliwe raised a query on the definition of “parent”. She was worried that the term was not clearly defined. She sought clarity on what would happen if a mother had fallen pregnant by one man, but was married to someone else, and asked who would be regarded as the “parent”. Ms Swartz responded that a parent would be recognised if their name was entered on the birth certificate. After a long debate, it was agreed that all Ms Swartz’s recommendations, except the matter related to the extension beyond two years should be extensively researched by the Parliamentary Legal Advisers, with a view to specifically ensuring that the best interest of the adopted child was protected. It was suggested that she should take into consideration all services concerning adopted children that were offered by other departments, for example, the Department of Social Development. Members asked her to report back to the Committee. Mr America suggested that she have reference to the Chidren's Act. He said that this set out that the best interest of the child should always take priority. Mr M Bagraim (DA) noted that the proposal of elderly care leave of one day could give rise to financial implications. Mr Rawula wanted to raise his point about the possible inclusion of a benefit should someone resign. He was aware of many injustices that were taking place in the labour sector, where people were effectively being forced to resign, which he said was comparable to constructive dismissal. If those who were unfairly dismissed could receive benefits, then he thought it should be no different for those who were effectively being forced unfairly to resign. He asked that it be put on record that the EFF would support payment of benefits to those who were forced to resign through unfair labour practice. Ms Loliwe asked if there was any room for engagement on the position of the EFF. Mr Rawula agreed that his proposal was open to further engagement and discussion. Ms Loliwe sought clarity why the EFF was proposing that those employees who choose to resign should be treated differently. Other laws also made the distinction between resignation and dismissal. She did not support this proposition, saying that it would have other legal repercussions. Mr Mkongi agreed and he asked Mr Rawula to elaborate clearly what the EFF wanted. He was concerned that if such a proposition was allowed, it would lead to resignation of many employees who merely wanted to claim benefits. This should be discouraged. It should also be noted that the State was discouraging people from taking pension packages early. Mr Plouamma remarked that the EFF's proposal would open “a Pandora's box “ and he suggested that the Committee should ask Ms Swartz to consider this matter further. He had experience in working with trade unions and he agreed that often, employees were forced to resign by their employers, and this was worrying. However, the proposal needed adequate investigation, and a careful decision on whether to extend the scope of benefits to those who resigned. Ms van Schalkwyk referred Members to the actuaries' report and stated that if resignation payments were included, this would not be affordable. The proposal could not be pushed at this stage, when Members had already been advised that the DoL could not afford it. Mr America agreed and remarked that resignation was a voluntary termination, for which people should not receive a benefit. The Chairperson added that people who were forced to resign or who had been constructively dismissed were catered for by other legislation. They could approach the Commission for Conciliation, Mediation and Arbitration for other legal recourse. Mr Rawula said that the EFF would continue to push its proposal. The reality was that there were people who were employed in permanent positions who had been forced to resign. He did not think that the right answer was to regard this as constructive dismissal and expect them to seek legal recourse from the CCMA. Members should bear in mind that these were people who contributed to the UIF, but who were ineligible to receive benefits from UIF because they had resigned. The UIF was a social security scheme and should ensure that all employees were protected. Mr Plouamma stated that the Parliamentary forum was not an academic forum where matters should be engaged upon academically. He reiterated that the matter of designation should be referred to Legal Adviser. The Chairperson disagreed. She said that most people who resigned did so in order to take up or search for better positions. However, vulnerable workers – such as domestic workers – could not be forced to resign, but would rather be said to be subject to constructive dismissal. She noted that the DoL, when briefing the Committee on the cost of the Bill, indicated that it would be unaffordable to include resignation. Mr America agreed that this was something that clearly had a financial implication, and according to the DoL, was unaffordable. Given that, he did not think there was any point in referring it to the legal advisers. Ms Swartz stressed that this was a policy decision on which she could not comment further. The Chairperson summed up the feeling of the majority that resignations would not be taken into account and paid out by the UIF, because this would not be affordable. . The minutes of 16 November 2016 were considered and adopted.